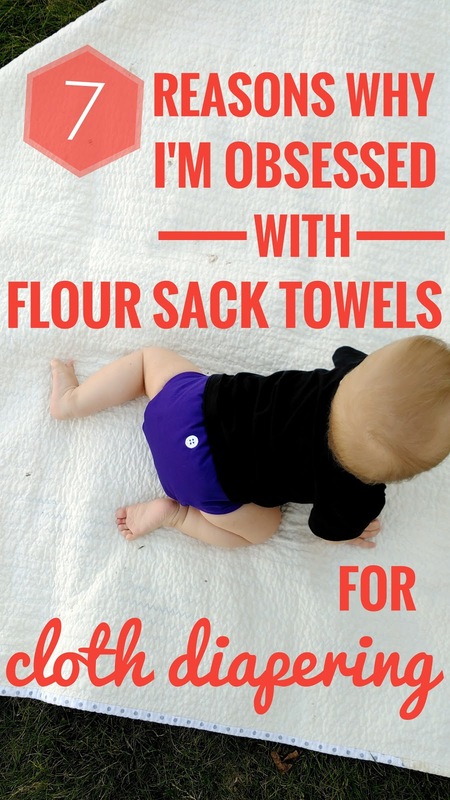 If you have been following me for any amount of time, you know that I have crazy mad love for flour sack towels as diaper inserts. I started using them shortly after I started cloth diapering (in 2015) and I am obsessed with them, still. I live, breathe, and preach this diaper system. 7. They can be conveniently bought at Walmart or Target, or most big box stores with a kitchen towel department. This was huge for me when I was building my stash on a budget, because I'd throw in a package every time I went shopping. 6. 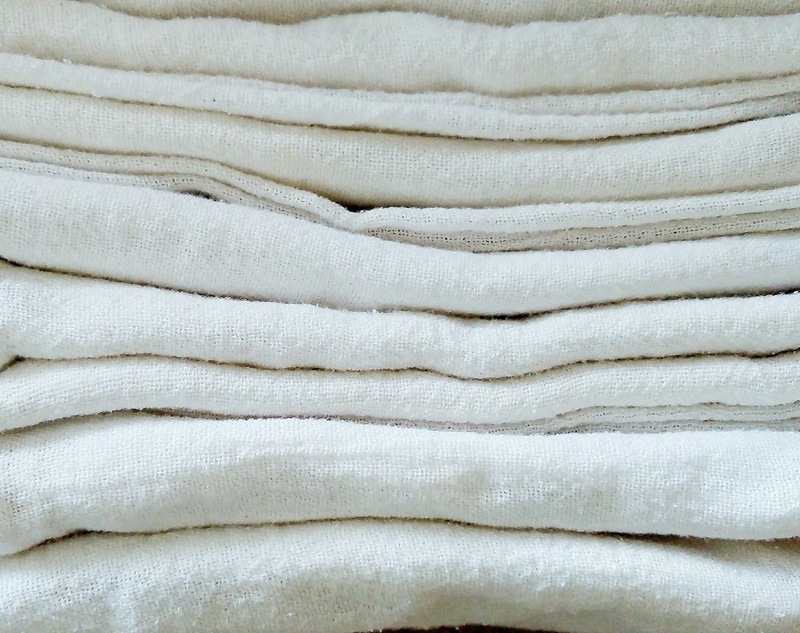 They're kind of great for everything- clean ups, as a changing mat, snot noses, as a nursing cover, their actual use as a kitchen towel, and I've even used one when I've forgotten my son's swaddle blanket (that he needs to sleep). It's a lifesaver to keep in my diaper bag! 5. They are so versatile as a diaper. Whether you want to do a quick pad-fold or get fancy with a Snappi, these guys are down for whatever. You can use them with a pocket diaper, cover, with wool, or whatever diaper system you choose. 4. They are a natural fiber. 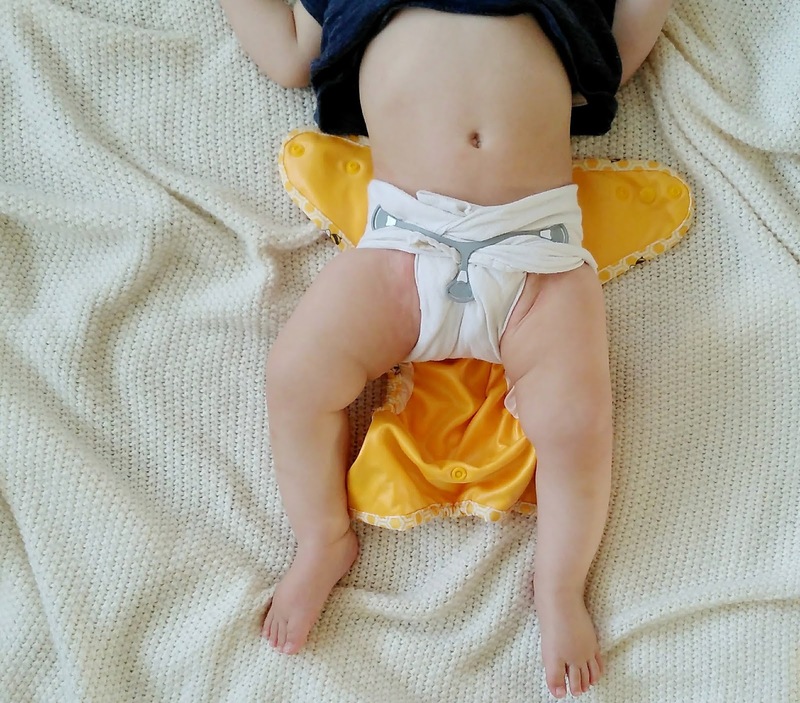 Being 100% cotton, the boast all the advantages of natural fiber diapers: they don't harbor stink, don't hold unto diaper creams, are super absorbent, and don't lend compression leaks. 3. They cost a freakin' dollar. Actually, Walmart sells them 10/$7.88, so it's less than a dollar. That's a good deal for a diaper insert. I've been using the same ones for two kids, for over two years and they haven't shown any wear yet. 2. They dry quickly. They are a single layer of fabric when unfolded, so they dry crazy fast. Thirty minutes in the dryer, and the same amount of time out on a clothesline. Seriously! They save energy and so much time. This has been one of the biggest draws for me, and what prevents me from going into other inserts. I don't like having to run a long, or more than one, dryer cycle. 1. They wash like a dream. Since they open up to just one thin layer of cotton, they wash CLEAN, even if you haven't perfected your wash routine yet. This makes them AMAZING for hand washing! 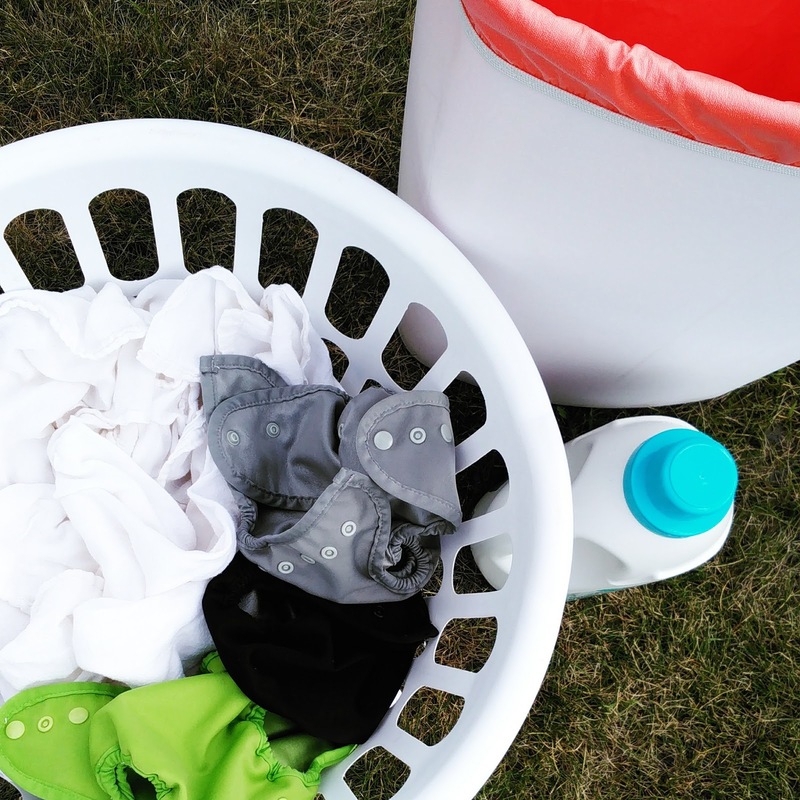 No washer, no problem! Actually, I think it's pretty bad-a$$ to be so dedicated to cloth you will wash by hand! If you do, flour sacks are the way to go! I pad-fold and keep them in the drawer ready to lay in my covers. Have you tried FST in your diapers yet? What are your thoughts?